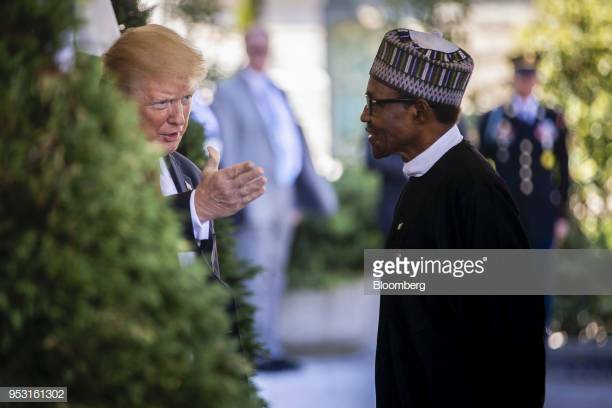 Despite repeated avowals of his commitment to a fight against corruption, the United States Department of State has said there is a climate of impunity in the President Muhammadu Buhari government that allows officials to engage in corrupt practices with a sense of exemption from punishment. The United State (US) Department’s Bureau of Democracy, Human Rights and Labour, in its Country Reports on Human Rights Practices for 2018, said Nigeria had made little progress in efforts to limit corruption in its public service. produce a report on the state of human rights worldwide every year. For Nigeria, the findings in the 2018 Human Rights Report, released Thursday, were largely similar to those of the previous year’s report, indicating lack of real progress in the government’s anti-corruption war. A copy of the report obtained by ThisDay said, “Although the law provides criminal penalties for conviction of official corruption, the government did not implement the law effectively, and officials frequently engaged in corrupt practices with impunity. The report stated that the country’s two key anti-corruption agencies, the Independent Corrupt Practices and Other Related Offences Commission (ICPC) and the Economic and Financial Crimes Commission (EFCC), had broad powers to prosecute corruption, but rarely applied such powers to conscientiously and logically prosecute corruption cases. It stated, “The EFCC writ extends only to financial and economic crimes. The ICPC secured 14 convictions during the year. In 2016 the EFCC had 66 corruption cases pending in court, had secured 13 convictions during the year, and had 598 open investigations. 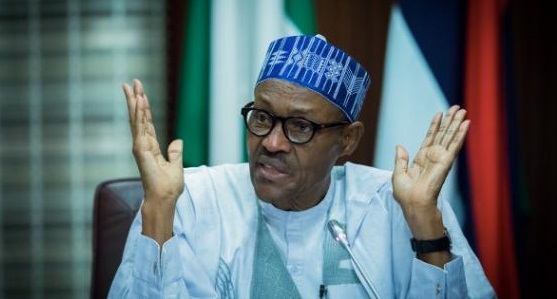 “Although ICPC and EFCC anti-corruption efforts remained largely focused on low and mid-level government officials, following the 2015 presidential election, both organisations started investigations into and brought indictments against various active and former high-level government officials. Many of these cases were pending in court. According to both ICPC and EFCC, the delays were the result of a lack of judges and the widespread practice of filing for and granting multiple adjournments. Perhaps, more chilling was the finding that arbitrary deprivation of life and unlawful killings were prevalent in Nigeria in 2018. The report cited several examples. It said, “There were several reports the government or its agents committed arbitrary and unlawful killings. The national police, army, and other security services used lethal and excessive force to disperse protesters and apprehend criminals and suspects and committed other extrajudicial killings. “As of September there were no reports of the federal government further investigating or holding individuals accountable for the 2015 killing and subsequent mass burial of members of the Shia group, Islamic Movement of Nigeria (IMN), and other civilians by Nigerian Army (NA) forces in Zaria, Kaduna State." The report noted the 2016 nonbinding report of the Kaduna State government’s judicial commission, which found that the Nigerian Army (NA) used “excessive and disproportionate” force during the 2015 altercations in which 348 members of the Islamic Movement in Nigeria (IMN) and one soldier died. “The court ordered their release by January 2017. The federal government did not comply with this order, and Zakzaky, his spouse, and other IMN members remained in detention. In April the Kaduna State government charged Zakzaky in state court with multiple felonies stemming from the death of the soldier at Zaria. The charges include culpable homicide, which can carry the death penalty. As of December the case was pending. In July a Kaduna High Court dismissed charges of aiding and abetting culpable homicide against more than 80 IMN members. As of September the Kaduna State government had appealed the ruling. Approximately 100 additional IMN members remained in detention. The report identified the following human rights issues in Nigeria: unlawful and arbitrary killings by both government and non-state actors; forced disappearances by both government and non-state actors; torture by both government and non-state actors; and prolonged arbitrary detention in life-threatening conditions, particularly, in government detention facilities. Others are harsh and life threatening prison conditions, including civilian detentions in military facilities, often based on flimsy or no evidence; infringement on citizens’ privacy rights; criminal libel; substantial interference with the rights of peaceful assembly and freedom of association, in particular for lesbian, gay, bisexual, transgender, and intersex (LGBTI) persons; and refoulement of refugees. The report also identified as human rights abuse corruption; progress to formally separate child soldiers previously associated with the Civilian Joint Task Force (CJTF); lack of accountability concerning violence against women, including female genital mutilation/cutting, in part due to government inaction/negligence; trafficking in persons, including s*xual exploitation and abuse by security officials; crimes involving violence targeting LGBTI persons and the criminalisation of status and same-s*x s*xual conduct based on s*xual orientation and gender identity; and forced and bonded labour. The report, however, noted that the government took steps to investigate alleged abuses but took fewer steps to prosecute officials who committed violations, whether in the security forces or elsewhere in the government. “Impunity remained widespread at all levels of government. The government did not adequately investigate or prosecute most of the major outstanding allegations of human rights violations by the security forces or the majority of cases of police or military extortion or other abuse of power,” the report added.